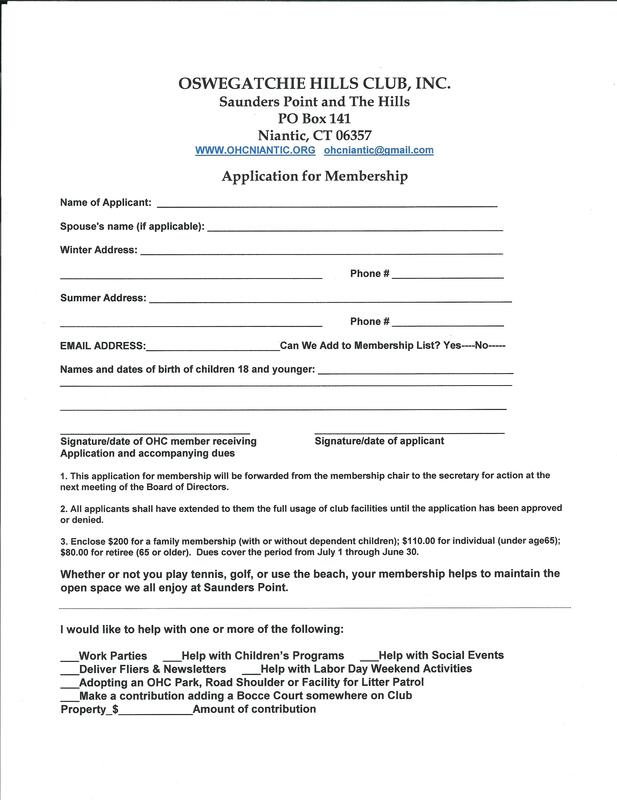 The Oswegatchie Hills Club application form is below. If you would like to join our neighborhood club, please print form, fill out and mail to P.O. Box 141, Niantic, CT. 06357.